There's something about the new year that gives us the itch to start cleaning and organizing our stuff. Although I'm currently in Minnesota, I'm already making a to-do list for a big purge once we get home. Don't you think it's a little therapeutic to go through our stuff, donate/sell what we don't use, and have less in our homes? Last spring, I wrote a series all about stuff. 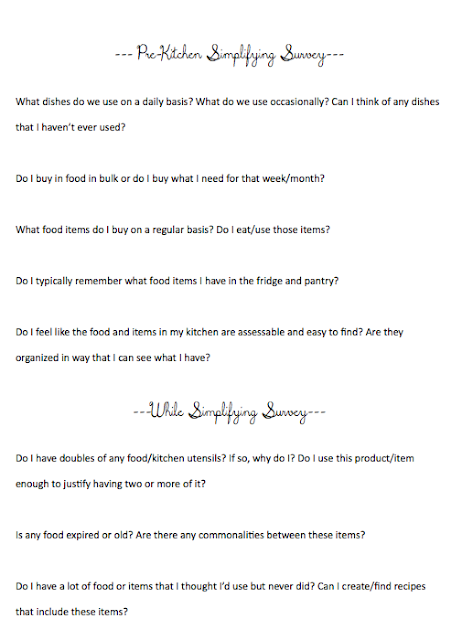 I talked a lot about not only going through our stuff and cleaning it out, but learning how to have less stuff in our homes in the first place. I wrote about simplicity, purpose, and generosity. You can check out the recap of the whole series here. So, in the spirit of the new year, I decided to recreate, create, and share some of the free downloads based on that series. For me, I think it's important to really think about what I have and honestly address why I have it. 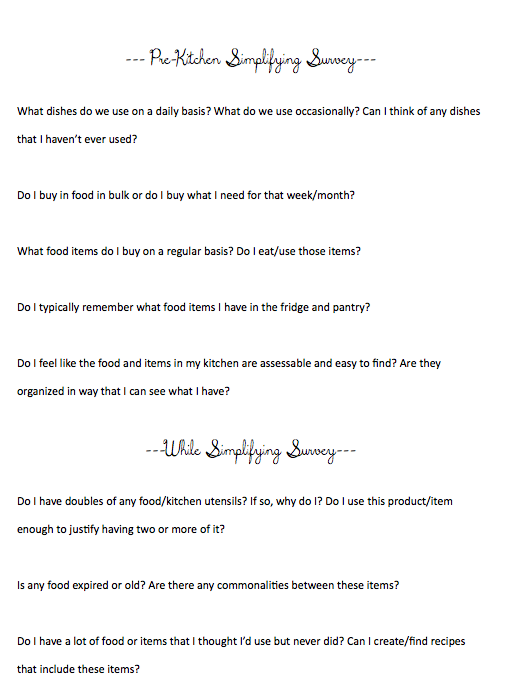 I created these little surveys/questions to help me think practically and honestly through the simplifying process. Simply click on the link and you'll be sent to google docs. You can easily print them out from there. If you have any trouble, let me know and I can send you the documents via e-mail.